A NEW website has been launched to provide an up-to-date, comprehensive resource for farriers throughout the UK. The only website of its kind for the national farriery industry, Forge and Farrier contains all the information that apprentice, competitive and non-competitive farriers may need, from upcoming events to a suppliers directory, as well as information about governing bodies and education and training possibilities. The site has been developed by Nigel Brown AWCF, a farrier based in South Wales, and his wife, Claire, who runs the website. The site includes a year round events calendar which lists all forth coming competitions, both in the UK and abroad, with results and reports being posted after each event. Approved Training Farriers and apprentices can view intake deadlines on the calendar and can make use of the education and training section for details on courses available at each of the four farrier training colleges. This section also includes articles written by award-winning farriers, such as Darren Bazin AWCF and Gary Darlow AFCL, and has listing of clinics and tuition that are on offer. 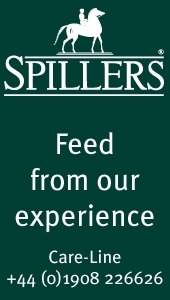 A suppliers directory is included to keep new and more experienced farriers up to date with new product launches and special offers, while a notice board details current news affecting the industry. There is also an articles of interest section, which includes features on horse health and business matters. Finally, for the non-farrier, the Horse Owner section includes a ‘find a farrier’ link to the Farriers Registration Council’s website together with articles about the different types of shoe, what is involved in a shoeing competition and information about what to expect when your farrier visits. Claire and Nigel are hoping to grow the site over the coming months and develop it into part of every farrier’s daily life. They are extremely keen for everyone within the industry to play a part in its development by submitting articles and have already received a lot of positive feedback, both from farriers in the UK and from abroad. Claire added: “Forge & Farrier is unique, not only because it is the only comprehensive resource within the UK but also because it has been created solely by farriers. “Once we are established, we are really keen to put something back into the industry, maybe in the form of sponsoring competitions or something similar. THE British Equine Veterinary Association Welfare Award has been presented to the founder of The Donkey sanctuary, Dr Elisabeth Svendsen. 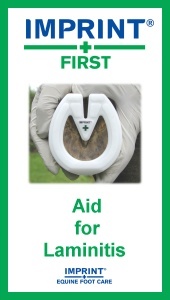 The award, which is sponsored by The Blue Cross, is a formal recognition of significant contributions made by veterinary surgeons and others to equine welfare. Dr Svendsen was also recognised for her role in providing funding for new buildings, vets and vet nurses at various veterinary schools in the UK. The award was presented at the 46th BEVA Annual Congress by John Rutter, chief executive of the Blue Cross. He said: “I am delighted to present this award to Dr Svendsen, who has dedicated so much of her life to improving the lives of donkeys around the world. “The Blue Cross has been caring for horses for over 100 years and this annual award gives us an opportunity to recognise others who have made significant contributions to equine welfare. The Donkey Sanctuary was founded by Dr Elisabeth Svendsen in 1969 and since this date the charity has taken over 12,000 donkeys into its care in the UK and Ireland. Dr Svendsen said: “I have been working with donkeys for 38 years and still have much to learn about this humble, much abused animal. “We like to think of our Sanctuary facilities in the UK as a centre of excellence and we consistently train overseas vets so that with their new knowledge they can go back and spread the word in their countries. 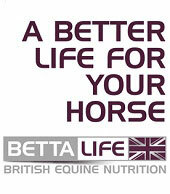 THE BHS is warning horse owners that further increases in the price of horse feed are likely in the coming months. Many horse owners will have noticed that the price of feed has risen recently. This is due to an increase in the price of grain, caused by the poor weather this summer. Also to blame is the fact that more grain is now being purchased for use as biofuel, which has further inflated the price. After contacting a number of large feed manufacturers, the BHS has reported that many have agreed the increase in grain costs will impact on the price of horse feed. As a consequence, they are now warning horse owners to plan ahead for the winter and be prepared for further possible price increases. Lee Hackett, BHS Welfare Senior Executive, said: “We are not talking about huge increases in price and there is certainly no need to be overly concerned. The BHS are now suggesting that horse owners consider their horses’ needs and think about whether or not cereal based feeds are appropriate. Many horses do not need cereals and can benefit more from calories provided in forage form. Mr Hackett added: “Now may be a good opportunity for owners to reassess their horse’s diet and check that it is appropriate. “However, any changes to a horse’s diet should be made gradually and we would advise horse owners not to cut corners when buying feed. AUSTRALIA’S recovery from an outbreak of horse flu has experienced a setback with further cases detected this month. The respiratory disease is highly contagious and has spread rapidly, with a huge impact on the Australian horse industry. A national response involving the Australian and state Government and equine organisations has been working to eradicate the disease, but the battle is not yet won. From the end of last month, buffer zones and ring vaccinations have been used to contain areas of high concentration infection in New South Wales and Queensland. This is exclusively for the eradication campaign and there is currently no proposal for any general vaccination of horses. Australian Veterinary Association President Dr Diane Sheehan has said that while the crisis is far from over, it is important to know how the disease entered the country and how it spread. She said: “There is still much to be done and our first priority must be to continue to provide the resources necessary to get this under control, and to help those who need assistance. “However, questions will have to be answered about how this breach of bio-security occurred so that we learn from it. The outbreak has already cost the equine industry millions and it is estimated that the after effects will be felt for many years to come. Alasdair King, veterinary manager at Intervet, said: “While Australia could, in some ways, be considered lucky, as it appears that the strain of flu virus introduced is one of the less virulent ones, the outbreak is still disrupting every aspect of the horse industry. “The breeding season is also suffering as movement restrictions stop stallions and mares being brought together. Now, the Equestrian Federation of Australia has developed a horse flu action plan it claims can revive the equestrian industry. Under the plan state and federal governments would offer extra financial assistance to affected horse owners via an interest relief scheme. The EFA is also seeking an immediate vaccination program for equestrian horses if the equine influenza outbreak is not under control by next month.